The thought of having surgery is absolutely terrifying for most people, and in the specific case of bilateral hip replacement surgery the level of anxiety among patients who are presented with the option is catapulted to new heights. 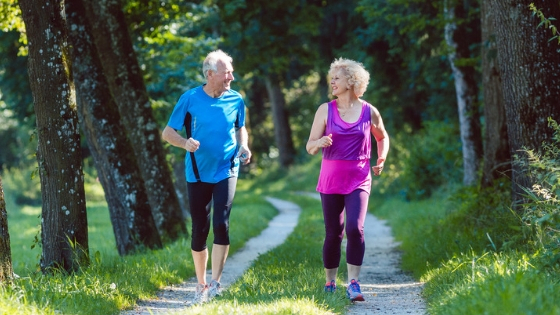 The good news for people who have come to the point of having to make a decision regarding total hip replacement is that the procedure has come a long way over the years. Constant innovation and the development of new technologies have helped physicians like Dr. Douglas Roger give patients suffering from chronic hip pain a new outlook on life. Dr. Roger’s approach to bilateral hip replacement surgery is minimally invasive, and less traumatic to the muscular tissues of his patients. The method which was pioneered by Dr. Roger is known as the Direct Superior Approach. During the procedure the doctor makes only one incision therefore allowing him to complete the operation without having to detach muscles. This means that the hip’s normal alignment is kept in place, leaving tendons and muscle tissue with little to no damage. This method also minimizes the amount of leg manipulation which lessons the amount of damage to soft tissue which ultimately equates to minimal pain following the procedure and a shorter recovery time. The hip joint breaks down due to a bone tumor. The hip joint has sustained an injury. There is constant pain, swelling and stiffness caused by Rheumatoid arthritis. The bone in joints begins to deteriorate and die from the disease process known as Osteonecrosis. Your doctor will review your medical history, and conduct a thorough examination to ensure that you are healthy enough to undergo the procedure. A history and physical exam may include but is not limited to a review of medical records from other physicians that you have seen, and a thorough review of your personal medical history as well as the medical histories of your immediate family members. If you are taking medications like a daily aspirin, Plavix, Coumadin or any other type of anticoagulant medication your doctor will review prior laboratory reports, and then order new blood work to see where your PT, PTT and INR levels are. He will also consult with you regarding what day you will need to stop taking your anticoagulant therapy prior to your surgery. Your physician may also order additional x-rays to compare to those that you may have previously taken. Prepare and freeze some meals to have on hand for the days that you may not feel like cooking. Put anything that you use on a daily basis at arm level so that you can avoid the discomfort of bending down or reaching upward. Items like remote controls, your telephone, medications, and a wastebasket should be kept in one easily accessible place. Make arrangements with a family member or a friend to drive you to and from the hospital. You should probably ask someone to help you the week following your surgery. Many of Dr. Roger’s patients are up and walking within a few short hours following their bilateral hip replacement procedures, and most are discharged from the hospital the day following the procedure. There are some patients that are able to leave the hospital on the same day that they had their procedure. There are very few limitations imposed on patients following their procedure, but of course common sense should be deployed, and your personal level of comfort should be considered. Most patients find that over the counter anti-inflammatories like Ibuprofen and analgesics like Tylenol are sufficient remedies to manage and control their pain. You will be referred to a physical therapist who will begin working with you almost as soon as you are discharged from the hospital. He or she will tailor an exercise and recovery plan specific to your needs to help you increase your muscle strength, and establish a functional and healthier range of motion. If you are living in chronic pain and are tired of waking up not knowing what kind of a day you are going to have, you should give Dr. Roger and his team a call to get more information on bilateral hip replacement surgery, and schedule an appointment to see how they can help you. Life is all about quality not quantity, and you deserve to live the best quality of life that you possibly can. Canadians, we welcome you! We go out of our way to make sure having your surgery here in beautiful Palm Springs is convenient and comfortable.